The question on everyone's lips/fingertips right now is: "when are we going to get some information on the Hobbit's music?" The short of it is, I've been asked to not talk about The Hobbit yet. 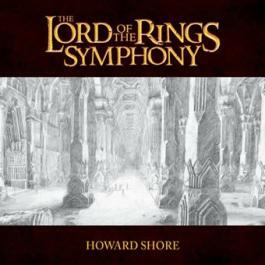 I can tell you that Howard Shore is working on it, and has been for some time now. I'll even go a step beyond that and tell you that he's made a handful of trips to New Zealand already, and will continue on his "long commute" schedule (a few weeks here, a few weeks there) during the summer. But beyond that, I can't tell you specifics regarding new themes, big moments, etc. Composing is a very conceptual thing. It's much like writing in that sense. 95% of what one does occurs prior to a physical product, yet that physical product is what one is really creating. (For The Hobbit, that physical product will be scores, parts, and a recording.) I can't imagine being a sculptor -- no matter how much careful planning a sculptor tends to, concept and execution are essentially the same. You chip away the first bit of marble and it's gone, forever dedicated to an immovable goal. That's got to be a lot of pressure ... although the neat, self-contained process must be exhilarating. Music is more like writing a play, perhaps. 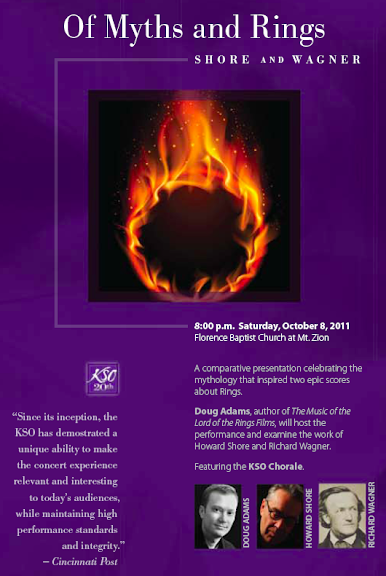 The final staging is the goal, but most of the creative work happens prior to that point. That's not to suggest that the final staging is any less creative, but in terms of pure percentages, most of the work involves quiet dreaming, paper, graphite, and ink. (Computers de-romanticize my flowery imagery here, but of course they're essential.) For a composer, like a writer, everything that leads to that last 5% of execution is fluid, thus subject to editing, revisions, and whole-scale 're-do's. This is precisely why most composers don't like to speak publicly about works as they're being created. As soon as one says something publicly, the music is in a box, conceptually frozen. That's antithetical to a composer's creative process. Some of these lessons I learned during the long-gestating The Music of the Lord of the Rings Films. Every once in a while I shared a inchoate idea of mine that suddenly everyone latched onto. And it was tough to go back and explain that I was sharing early notions and that we now had a better, clearer notion of where we were headed. Chronicled, it looks like indecisiveness; it looks messy! The reality of it is, this is how things are created. Think of it this way: if this were April, 2003 and I was to starting run on about the score to The Return of the King, you'd be hearing about all the male vocalists lined up, and about this new song "Use Well the Days" that was meant to close the score. We all understand the progression of these ideas now, and certainly they haven't been swept under the rug or treated as some sort of secret shame. In fact, the whole point on The Rarities Archive is that these early ideas have their own beauty. But how distracting would it have been to sit down to ROTK in its full glory and find that these elements had been rethought? Peter Jackson is running a pretty transparent production right now, but note that the script to The Hobbit was created in quiet solitude. The reason he can be transparent now is because the production has entered the execution stage -- the ideas are in place. Later this summer, Shore will likewise cross the terminus into the next stage of his process. At that point, ideas will be in place, music-driven moments will be fully shaped, pacing and architecture will polished, and the music of The Hobbit will be ready to be realized. That also when there will be (considerably!) more to say. I like to keep my current projects in folders on top of the filing cabinet in my office. I realize this sort of defeats the purpose a cabinet, but such is life. Right now there are two folders atop the cabinet: one fat, one thin. The fat folder pertains to my current project, the one I've been hinting about lately. I'll have more to say on that subject soon, probably in May and June. The thin folder is The Hobbit folder. Inside are a few notes, a few ideas. It's a little lean, but it's begun. I will be on Middle-earth Network Radio's Wardens of Westmarch podcast tomorrow (Tuesday, 4/3) at 2 AM, 11 AM, and 7 PM EST. The Podcast should be available shortly thereafter.